After it the plaque has dried, you can do a bit of finish work and give a clever little gift to their friends or yours. *I like 1×3 inch and 1×6 inch pieces of lumber that are cut into about 4″ and 6″ lengths. If you’d like a free standing sign, you can use a 2×4 or 2×6 inch board and cut it to the desired lengths. If you find someone nice at your home improvement store, they will even cut it for you. 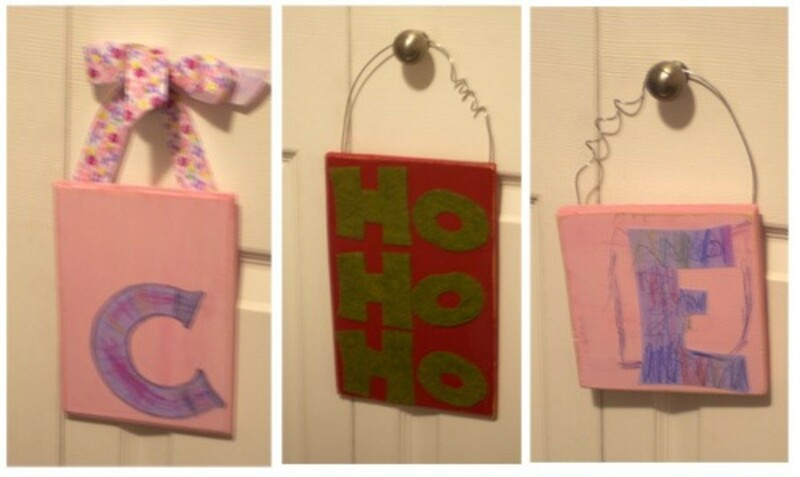 You can also pick up unfinished wood plaques at a craft store for around a dollar or so. 1.Smooth the edges of the board with sandpaper. 3.After the plaque has dried, sand lightly over the entire surface, and a little more around the edges to distress, if you wish. 5.If you are using paper, use thinned white glue or mod podge to adhere the letters. 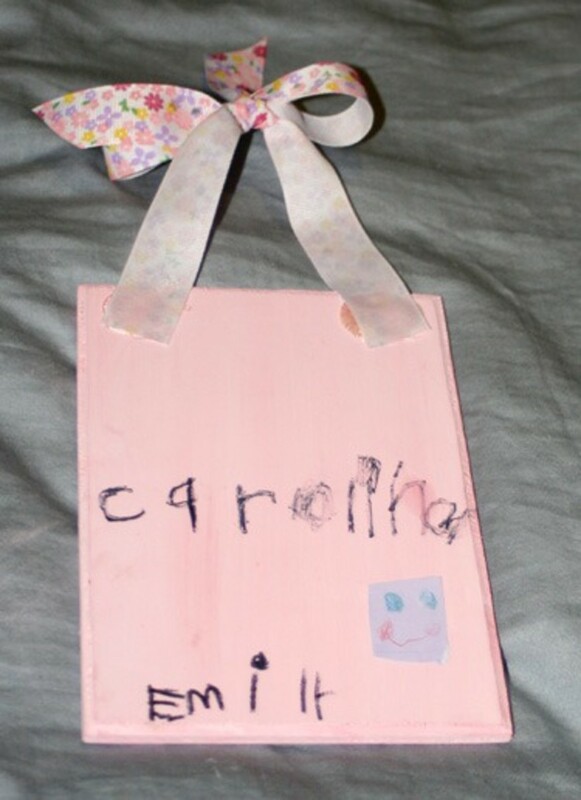 You may want to add a few finishing touches, such as outlining the letter in paint or marker. One of my girls wanted to add background designs to her board. I cut out a few paper flowers and used buttons to embellish them. If you do this, you may want to use a spray sealer; if the final design is flat, you can just brush a coat of mod podge over the surface. 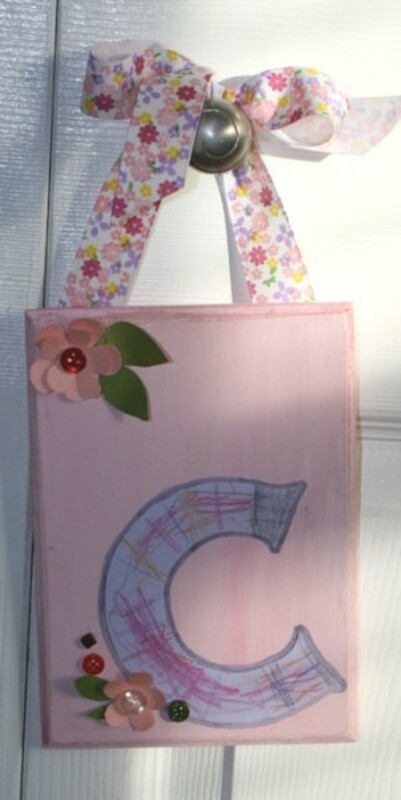 *If you are using fabric letters, skip this step and simply glue on with craft or hot glue. Glue a length of ribbon or wire to the back of the board (hot glue works well here) to use as a hook. 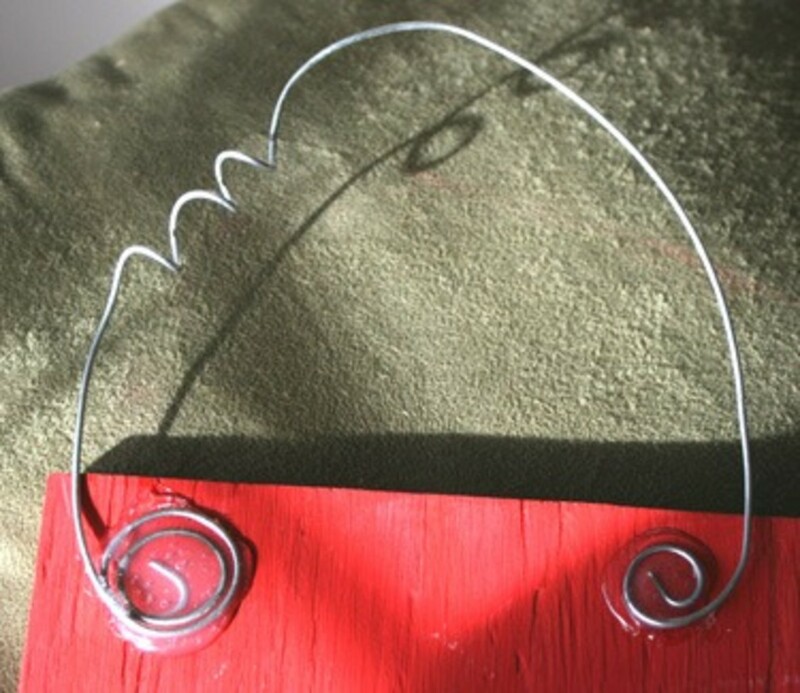 When using wire, curl the ends into a loose coil to give plenty of surface area for the glue to adhere to. You can also add a little curl on the hook by wrapping the wire around a pencil; then slipping the pencil out. 8.Add a personal message to the back (I just love that Emily drew a picture of her friend to glue on the back.) You can also add any embellishments your heart desires at this point. A bow perched on the wire would be very cute–go crazy and have fun! 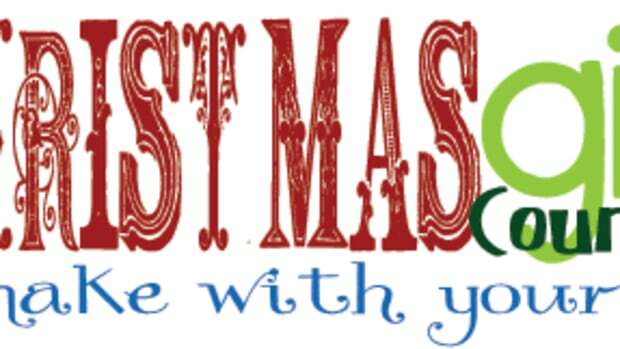 Also, remember to stop by LeapIntoArt.com to enter to win one of our 10 Christmas Gift giveaways! A few paint strokes on a flooring tile and you have a great and useful gift. Making a gift for someone you love always means a little more. It says they are worth the time and effort to you.